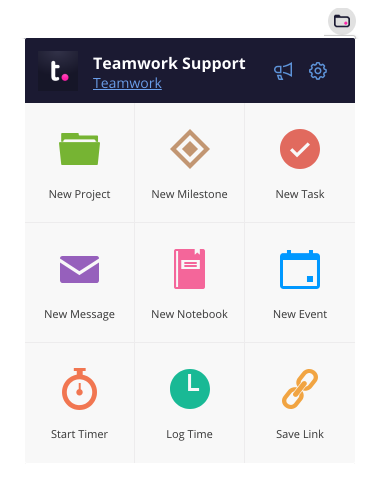 Within Teamwork Projects, if you are using Google Chrome as your preferred browser, you can install Teamwork Projects for Chrome. This extension makes it even easier to create new projects, events, tasks and other items in your projects. You can also log time and save links without leaving the page you are on. You can find it in the Chrome web store. When viewing the Teamwork Projects extension, click the Add to Chrome button. 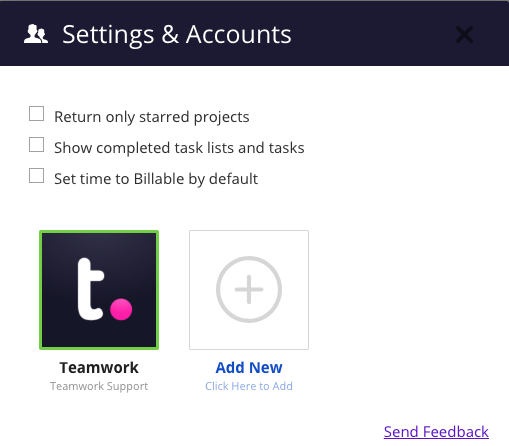 Now, you can sign in to connect to one or more of your Teamwork Projects sites when you click the icon for the extension. Just log in with your details, and now you will see options to create new items. 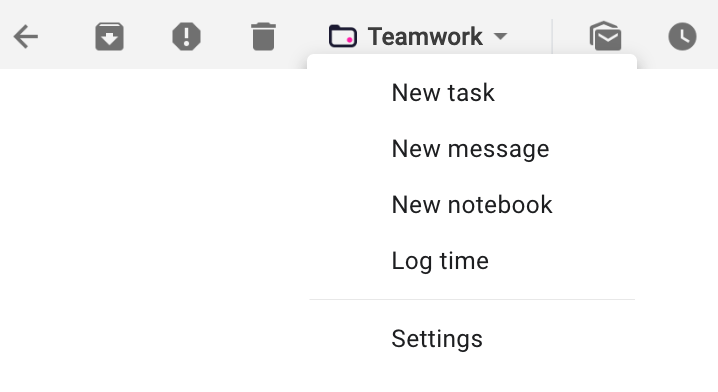 In your Gmail account, you will also see a Teamwork button, allowing you to create items directly from emails.